Training began well and the boys soon discovered a positive energy and started to form an early bond. David Kremer cleverly shook up the player positions, adding power runners to the wings, work-rate players to the pack and giving playmakers the freedom to express themselves. As such it was thrilling, yet unsurprising, when the boys brought their training drills to the pitch and beat Battersea Ironsides 25-0 in the season opener. With confidence growing with every game, the boys were not to be beaten again and their unbeaten run was all the more remarkable since only two sides were able to cross the Wimbledon try line in the league all season. So with the league secured, and the boys sporting ‘League Champions’ WRFC Polo shirts thanks to David, all attention turned to the Surrey Chairman’s Cup. The cup run started with a thumping 35-10 win against King's before a brutal away game against London Irish ended 25-25, despite Wimbledon looking comfortably the better side. Having what looked like a perfectly good try disallowed, the final whistle appeared to suggest extra-time but after consulting the rule book, Wimbledon were awarded victory due the the away rule. This narrow escape seemed to rally the boys who went onto beat a much fancied Weybridge Vandals 35-20 and then despatch Haselmere 45-10 to reach the cup final against Guilfordians, who themselves had stuffed Battersea Ironsides 40-15 to reach the decider. 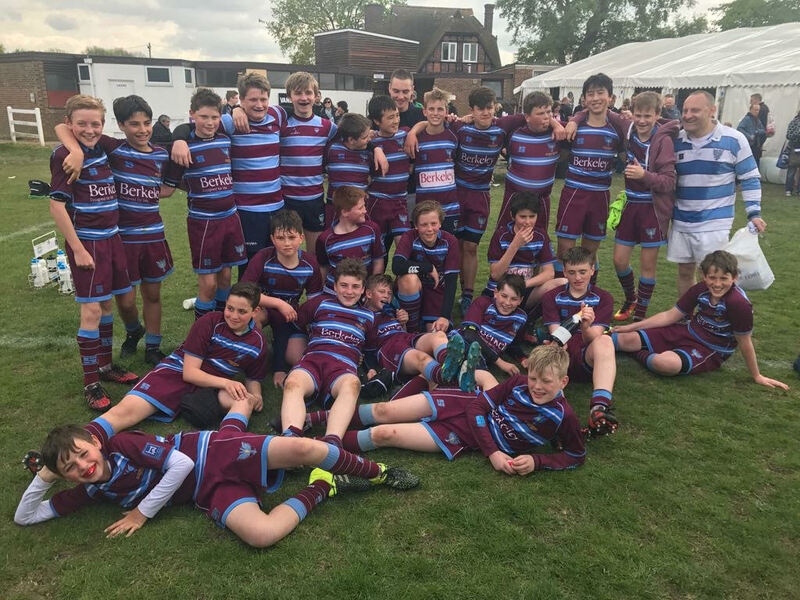 The U13s Tour to the Midlands further strengthened the boy's friendships and also resulted in a comprehensive victory over a huge Daventry RFC side, sporting a few U14s in their ranks. As expected there was a record parent turn-out for the Surrey Cup Final, all hoping to witness not only the rarity of a League and Cup double but also an undefeated season. In a pulsating match, Wimbledon ran onto the pitch looking fired-up and started the game at a furious pace which Guildfordians simply couldn't live with, pulling out to a clear 20-0 lead. To their credit, and perhaps with a few Wimbledon players thinking the cup was already in their hands, Guildfordians pulled back a couple of tries before Wimbledon turned the screw, running out clear winners at 35-10. Several of this team, including inspirational Captain Yanni Konstantinou, have been recognised by Surrey and rightly selected to join the County Development Squad. 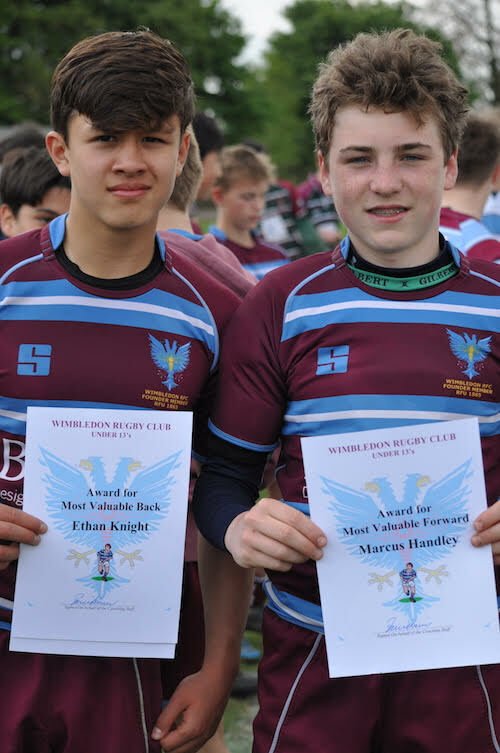 David Kremer, ably supported by Toby Harrison, deserves to take a huge amount of credit for the development of the team, many of whom were at Wimbledon on Saturday to join the guard of honour and support their 1st XV in celebrating their own wonderful season.